Great experience along with great products. 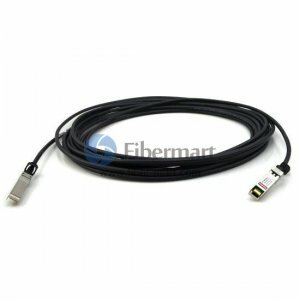 10G SFP+ Cables-10G SFP+ Twinax / Optical Direct Attach Cable (DAC ) with SFP+ connector, is designed to work with equipment with 10G SFP+ interface. The SFP+ DAC Cable provides high performance in 10 Gigabit Ethernet (10GbE) network applications, using an enhanced SFP+ connector to send 10Gbps data through one paired transmitters and receivers over a thin twinax cable. 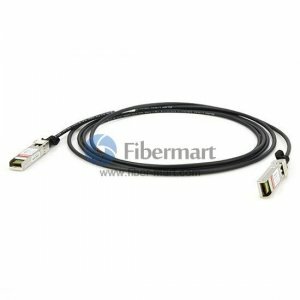 Fiber-Mart provides three types of 10G SFP+ cable assemblies: 10G SFP+ Passive Copper Twinax Cable (PCC), 10G SFP+ Active Copper Twinax Cable (ACC), and 10G SFP+ Active Optical Cable (AOC). Various lengths can be customized according to customers' requirements.